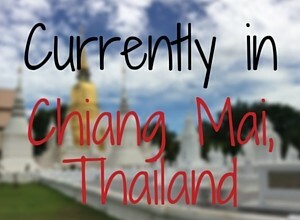 Chiang Mai is the second largest city in Thailand but please don’t think that it’s simply a smaller version of Bangkok. There are many different things to do in Chiang Mai and it has such a different vibe to Bangkok that you could be forgiven for thinking that you are in a different country altogether. Chiang Mai is a sprawling city with the usual suburbs and shopping malls but it has so much more going for it. It retains much of its traditional charm while attracting numerous co-working spaces which cater for the hordes of digital nomads and ex-pats who work from the city. This article has been updated since it was first published. To begin with, the original old city is still contained within an impressive moat which runs right around the perimeter and which is still guarded by chunks of ancient brick walls and protective gates. A plethora of chic coffee shops rub shoulders with street food vendors and there are temples old and new on every street corner. You could be forgiven for thinking that the traffic problem is as bad as in Bangkok; however whilst it’s true that it can take forever to get anywhere due to the convoluted one-way system which funnels vehicles around the moat and in and out through the city walls, people are generally patient and not in a huge rush to get anywhere. You’ll find trios of young teenagers zipping their scooters (that’s 3 school children to a scooter) between hand carts, tuk-tuks, songthaews and pedestrians in a fluid flow that can give you a headache if you ponder upon it too carefully, but somehow it all moves and everybody gets where they need to be eventually. One street away from the perimeter roads and it’s very easy to amble around the leafy lanes and backstreets of the old city without any bother at all. A couple of large roads dissect the old town into four main districts each with a distinct individuality. Allow yourself the luxury of getting lost because if you walk far enough you will come to the moat, get your bearings and you will get yourself right back on track. At night time the old city has a magical quality. It has an old-world charm but it feels quite safe as it wraps its protective arms around you. People wander around in the semi-darkness passing through pools of light that the little lamps shine out whilst monks silently scurry here and there in their vivid orange robes. There are literally hundreds of guesthouses within the old city walls – many of them are rooms in the original wooden teak houses that were built high up on stilts. Most of them have courtyards or roof terraces and nearly all serve food and drink to whoever happens to wander past. The lanes are narrow and leafy with flowers everywhere and at night the intoxicating scents of jasmine and frangipani blend with the sweet wood-smoke from barbeques. In the south west corner of the old city is a large park where people relax under the trees with a picnic, where you can take a massage in the open air with birdsong all around or you can join in and practice Tai Chi on the grass. The focus point of the old city is the large open plaza which is dominated by the Three Kings Monument and where you’ll find the excellent museums. There are often activities held in this space and it was here that I watched a couple of very good music concerts which were put on to celebrate the King’s birthday. One of the top things to do in Chiang Mai has to be shopping for artisan products in the markets. Three different night markets dominate the city. The biggest and the best is on a Sunday evening and takes over much of the old city and to date is the best night market that I have yet seen anywhere in the world. At this market you can buy any number of excellent quality yet bargain priced gifts but especially silk purses, silver jewellery or bright lamps. Seafood is cooked over coals and rows of masseuses offer cut price Thai massages on lines of plastic chairs. The Saturday night market, whilst slightly smaller, still contains the same high quality gifts, the stalls spill over into the temples’ yards and musicians and dancers entertain the crowds. In every small gap people eat at small tables sitting on plastic chairs or they walk around with juice or fresh coconut water in their hands. On all other nights of the week the night market is set up a little way outside the East Gate where it’s just a little rougher around the edges than the other two and as it’s on the edge of the red light district can also be slightly spicier than the others! These separate festivals are often lumped together into one because both take place at around the same time in November. Yee Ping is the festival where large paper lanterns are floated up into the night sky. There is the commercially run event which takes place outside of the city where tourists can get their requisite photographs but it costs a whopping $100 and it’s dismissed with disdain by the local people. It makes me giggle when I am told of the more meaningful private lantern release for Thais – I think that the entire population of Chiang Mai spills out onto the streets and even the airport has to close to ensure the safety of flights. Lanterns are officially only supposed to be released on the one night (due to the airport closure) and while many tourists will pay their money to attend the out of town event, thousands more throng the streets which run from the East Gate to the main bridge over the River Ping and float away their lanterns en masse. Loy Krathong involves making (or buying) a krathong which is a little boat made from banana leaves, flowers, incense and candles and setting it afloat on the river in the darkness. Flimsy bamboo platforms had been constructed on the banks of the River Ping and myself and several travel bloggers spent a lovely evening wandering around and watching the festivities as well as launching our own krathongs on the water from one of the rickety decks. Walking through the night market there could be no doubt that we were in the right place as groups of lady boys stood around handing out flyers and encouraged us to go and see their show. You would be hard pressed to guess that many of these immaculately turned out women were born anything but female with bodies to die for, tight fitting clothes and flawless makeup although others deliberately tried to confuse with more androgynous looks or even sported the odd moustache. A group of us paid our money and went into the show – which was an hour and a half of pure entertainment. The series of songs all lip-synched and with the dancers wearing fabulous costumes ranged from sophisticated and stunningly beautiful performances, through the raunchy and fun Lady Marmalade set to out and out outrageous camp which involved the girls kissing the majority of men in the audience and touting outrageously for tips to be pushed into their cleavages. A 40 minute scooter ride up the twisty mountain which looms above Chiang Mai will bring you to the bottom of a long flight of staircase flanked by long nagas or serpents. These green tiled snakes guide you up to the temple where the faithful come to pay their respects and if you are blessed with clear skies you’ll be rewarded with some lovely views of the city far below. To read how I was blessed by monks at Doi Suthep and how I was finally able to free myself of a whole ton of guilt that I had been carting around for more than six years click on this link. A few kilometres further up the mountain above Doi Suthep is the Summer Palace. The building itself is almost ordinary but it’s set in lovely gardens and grounds. High above the city it has great views in the clear air and is a peaceful place to wander around. It’s worth visiting if you have hired a scooter as the road has very little traffic and with switchbacks up into the clouds the ride is interesting. As this is a royal palace you will need to make sure that you are dressed respectfully but if you need to cover your legs or shoulders you can hire something suitable at the entrance. Four of us spent a fun day out in the countryside about an hour away from Chiang Mai when we bargained for and hired a songthaew and a driver for the day who drove us to the Sticky Waterfalls. Water cascades down the hillside running fast but shallow over big smooth bubble-like boulders. We left our shoes at the bottom and stepping onto the rocks we were all surprised to discover that they were indeed ‘sticky’. They have a slightly rough texture which ‘glues’ bare feet to them, enabling a safe clamber up through the warm water to the top. In places where slippery algae had grown, ropes hung down so that you could safely haul yourself up – it was like a giant climbing frame and stacks of fun. 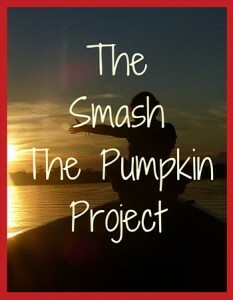 Reaching the top, the four of us grinned like lunatics then pelted back down the wooden steps to do it all over again. Whether you prefer gold, silver or the original brick, you will find a temple to suit you in Chiang Mai. Many of the temples have giant brick structures secreted behind them when in times past they had to hide the precious artefacts and most are especially spectacular under the floodlights after dark. Wat Lam Chang (temple of the tethered elephants) is the temple where the royal elephants were once stabled and all of the temples were hung with lanterns and where monks sat quietly chanting during the Yee Ping festival. The silver temple of Wat Srisuphan gives the impression that it’s floating as it shimmers with a purple glow in the dark or blindingly stabs at your eyes in the sunlight during the daytime and Wat Lok Molee has an especially good pair of guardians at the gate. Chiang Mai has a reputation as one of the best places from which digital nomads can work. It’s well served with many co-working office spaces, good wifi and it has very reasonably priced accommodation in modern apartments in the suburbs. I chose to avoid the upmarket end of town where most of the online workers tend to rent their apartments and I took a room in the Mango Guesthouse in the old city which was far more authentic for me, however I would regularly join with other bloggers and online workers for workshops, discussions and evenings out. Several times I even got up at the crack of dawn to join a group led by Nathan from Fit Living Lifestyle doing circuit training under the trees in a park. After several weeks in Thailand I was rapidly becoming addicted to Thai massages and I was very happy to support two worthwhile projects in Chiang Mai. Firstly, the Supattra Jino centre is staffed by blind and visually impaired masseuses where I had the best massage of my life (to date) by the extraordinary Thon. I explained to him that I had a problem with my knee and somehow by manipulation he managed to improve it by about 85%, something that no other masseuse had managed to do prior to him. I told him that he was a fantastic masseuse and he simply shrugged and said ‘I’m Thai’ like it was a given that he was amazing. You can find these magic hands at 15/5 Sripoom Soi 1 in the north east corner of the old town. Many people visit Chiang Mai with the intention of staying a couple of days but many of those end up staying longer or even relocate to the city. I stayed there for four weeks and I grew to love the old town. It began to feel like home as I got to know my hosts at the Mango Guesthouse local people around and about. Bee made lovely fresh juices from her cart opposite Vincent and Diana in the Mango guesthouse and there were the other long term guests at the Mango with me. Chema who was setting up a fish farm, Basilio who was in love with Bee and my Italian friend Enio who spent nearly a month in Chiang Mai taking Muy Thai (Thai kickboxing) classes and who discovered an unhealthy passion for the gross smelling durian fruit. The food here in Chiang Mai is to die for and they make the most amazing Khao Soy – which turned out to be my number one dish of choice in Thailand. Don’t discount Chiang Mai as being all about Bangkok’s second rated sister – it’s a fascinating city with much to offer but be careful – you may never want to leave!